The Jackson JS Series Spectra Bass JS2 Snow White convinces with optimal playing characteristics and a versatile sound spectrum at an extremely attractive price. Jackson relies on a poplar body in offset design with an extended upper body horn that promises a perfect balance on the strap, while the bolt-on maple neck with the slim "C" profile offers easy playability across all 24 frets of the Laurel fretboard. With a Jackson J-Style Single Coil pickup on the bridge and a P-Style Split Coil pickup in the middle position, controlled by volume and blend controls, the four-string also delivers a versatile sound spectrum. In addition, the Jackson Spectra Bass has an active bass boost, which can be used to emphasize the low-end foundation if desired and can be switched off using the push/pull switch in the volume control. Last but not least, the Jackson JS Series Spectra Bass JS2 Snow White features a Jackson Hardtail bridge and precise die-cast bass tuners. 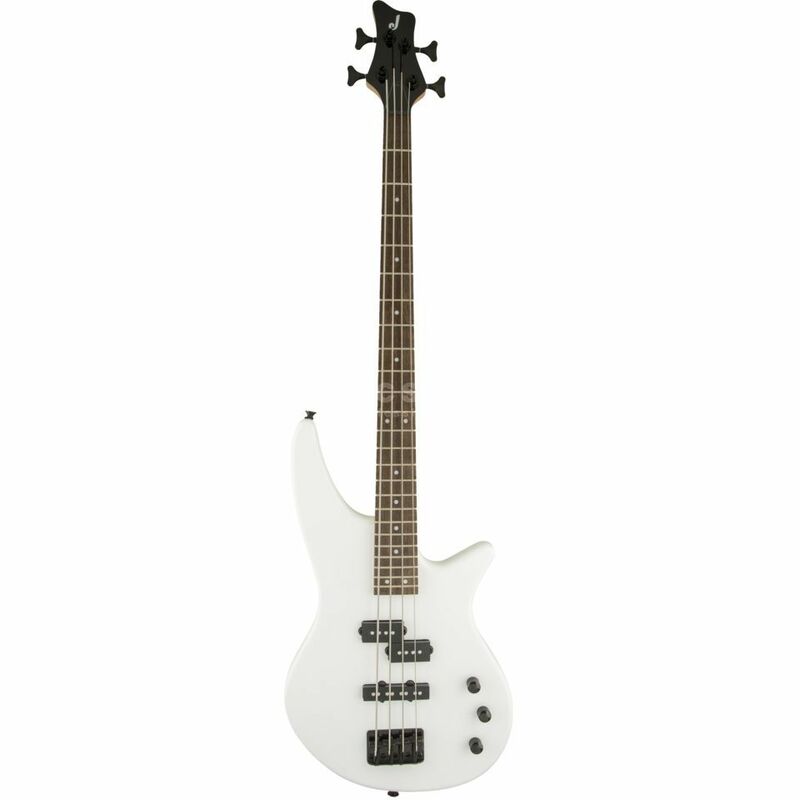 The Jackson JS Series Spectra Bass JS2 Snow White offers high playing comfort and versatile bass sounds.